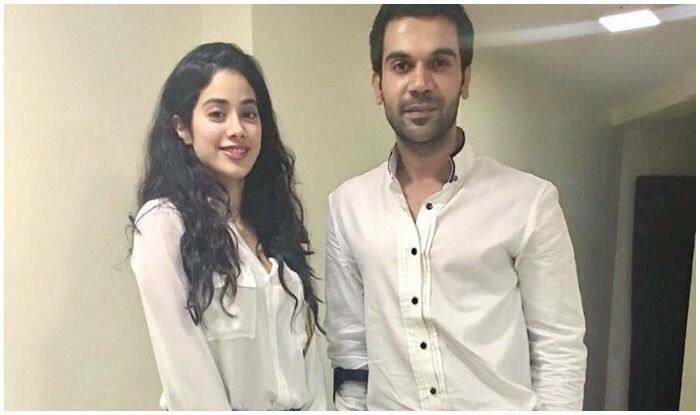 The year is all in favour of tilting new projects into Dhadak star Janhvi Kapoor‘s kitty as the actress has been recently roped in to play the female lead in producer Dinesh Vijan‘s film, Rooh-Afza, which will also feature actors Rajkummar Rao and Varun Sharma. While Rajkummar and Varun were finalised earlier, Janhvi recently joined the cast after much contemplation by the makers. “We took some time to finalise the female lead. Besides being pretty, she needed to oscillate between two characters which are poles apart. You will fall in love with her in one scene and won’t believe she is the same girl in the next one. It’s not an easy switch for an actor. It’s the perfect casting,” producer Mrighdeep Singh Lamba told IANS. They needed an actress who could play double roles in the movie, of contrasting characters and according to Dinesh and Mrighdeep, Janhvi seemed to fit the bill perfectly. “For the female lead, we needed someone who could portray two contrasting personalities with ease, and Janhvi stood out. She really connected with the script. Her talent is still raw, but she is excited about being moulded. The script is young, refreshing and totally crazy, and she is exactly that,” Dinesh shared. Janhvi Kapoor made her big Bollywood debut with Dhadak and is currently gearing up for her next big project which is a biopic on Indian Air Force fighter pilot Gunjan Saxena. Janhvi is giving her heart and soul to the film and reports suggest that she is being trained at Indore Flying Club, where India’s best pilots take their training from.